Kansas legislators are preparing to open their annual session as new Democratic Governor Laura Kelly launches her new administration. Kelly takes office and lawmakers convene Monday. Lawmakers expect big debates over the next four months on boosting aid to public schools and expanding the state’s Medicaid health coverage for the needy. Those are top Kelly priorities. Republican legislative leaders are more interested in cutting income taxes. 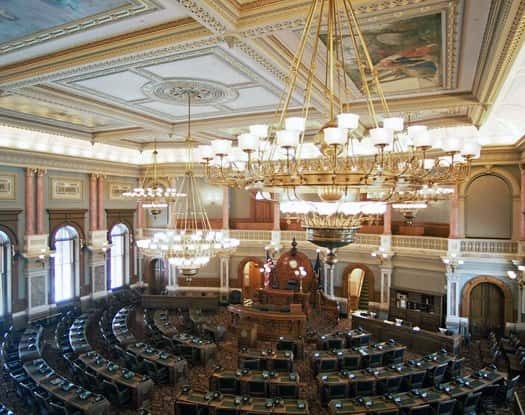 They want to prevent federal tax changes from forcing Kansas residents to pay more to the state. The GOP holds large majorities in both chambers, so Kelly will have to woo moderate Republicans to pass her proposals. It will be a new experience for most legislators. Eighty percent of lawmakers 132 of 165 don’t have any experience with a Democratic governor.